Posted April 7th, 2019 & filed under . Type: * Social * Sports This Event: May be of interest to the LGBTQ community The hits keep coming with the Mad Rollin’ Dolls third game of Season 14 on March 3, 2018. 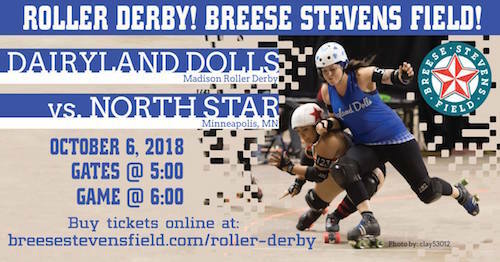 The Mad Rollin’ Dolls present a double-header at the Alliant Energy Center Exhibition Hall on March 3…. Mad Rollin’ Dolls will host invitational roller derby tournament in Madison this May! Posted December 8th, 2017 & filed under Headlines. Posted May 17th, 2017 & filed under .